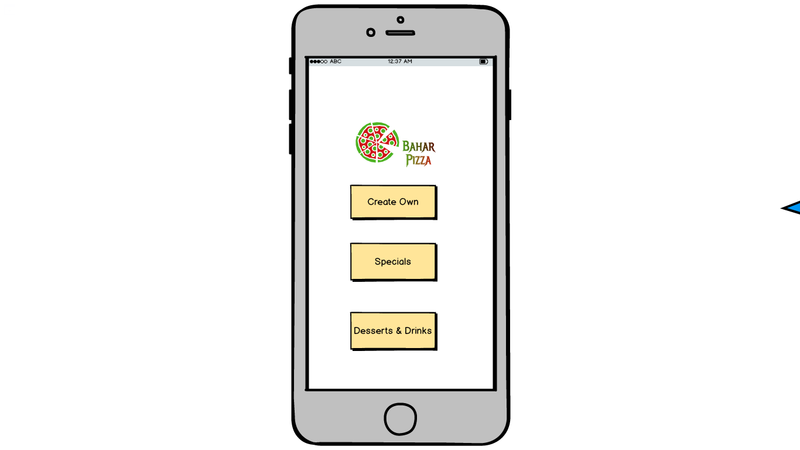 Multiple options for customer: The customer should be provided with multiple options at every page, like in the first page he should be be provided options for pizza, desserts or drinks. 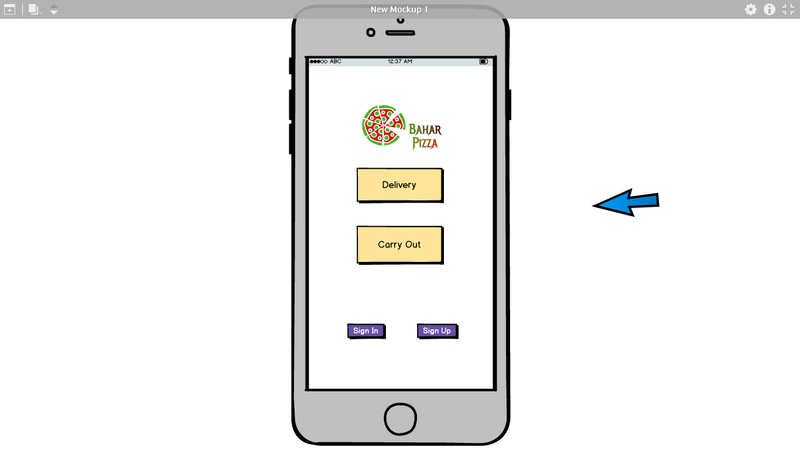 Payment Security Authentication: When the payment is done for the pizza order, there should be a secure CVV authentication for the card that is used. 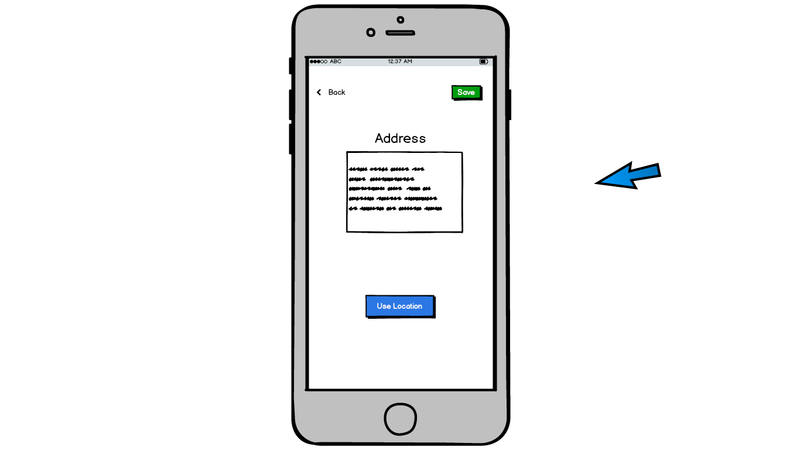 Navigation: When the customer navigates from one page to another the response should be faster and there should be no lag in that along with basic transitions. 3. 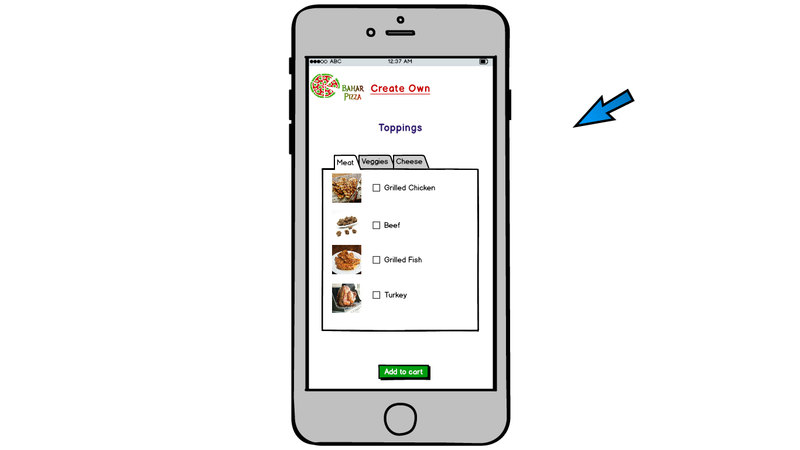 The next two screens which will appear shows the three options available for making the order. 4. 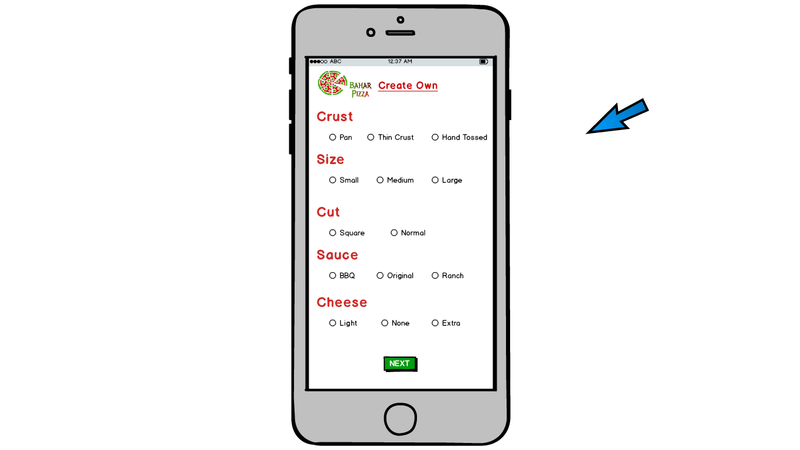 If create own pizza option is selected, this screen will pop up where multiple customization options for the pizza will be shown. 5. 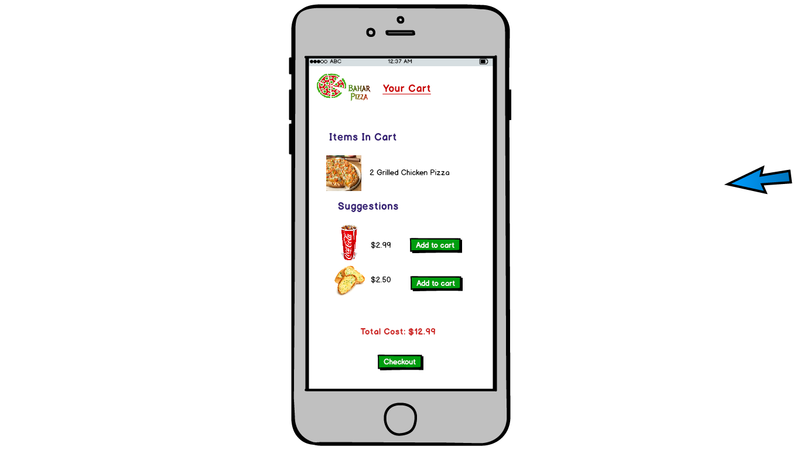 This screen gives the overview of the customer's cart. 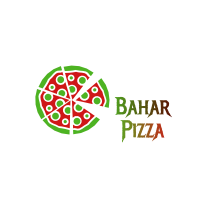 Also, suggestions for the meal can be seen. 6. 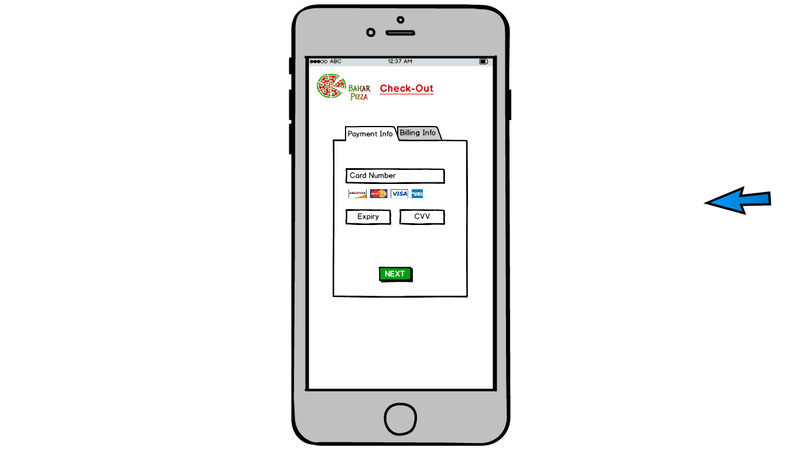 This screen shows the check out page showing the payment information and billing information.